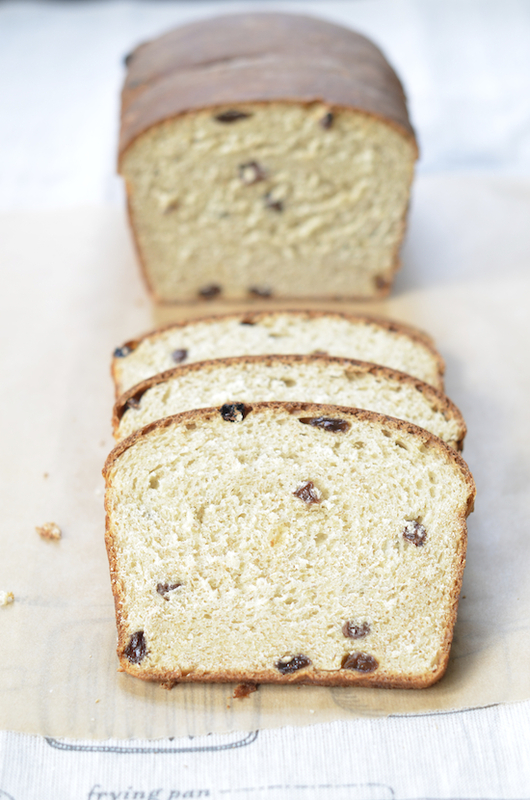 It is evident that I go 'bananas' for breakfast breads and this Raisin Bran Bread is no exception. A fine addition to the Red Star Yeast series, just in time for your breakfast, or lingering brunch this weekend. I can't wait to have a slice with my favorite apricot jam. The original recipe instructions are for kneading by hand so I adjusted the directions for the mixer. In order to do so, I wished to double check my facts, especially the water temperature and yeast conversion chart. A refresher once in a while never hurts. In the process I came across a few baking tips and facts that made me think.."how about that?!" 1. Olive oil will prevent the loaf from drying out too quickly. I needed the reminder here. Maybe I'll use olive oil when baking olive bread and try it with other breads too. 2. Using milk instead of water produces softer crust. I personally thought it produces a softer crumb but the crust didn't cross my mind. 3. Lite salt can be used if it has both potassium chloride and sodium. I had no idea there is such a thing as lite salt. Some fundamental questions such as 'what's the difference between bread flour and all purpose flour' and 'tips for baking in high altitudes' are answered in the frequently asked questions section. It is quite educational, so I am going to geek out, yet again, at Red Star Yeast's site and with my baking books, over a cappuccino, this weekend. This post is a part of my professional collaboration with Red Star Yeast. See a complete list of the breads in the series, below. Melt the butter, if using butter, and set aside. In a mixer bowl dissolve 1 teaspoon sugar in 1/2 cup warm water (110F-115F), stir in the yeast and let sit for 10 minutes, or until foamy. Whisk in the milk and sugar and mix. Gradually add 2 cups bread flour, salt, bran and wheat germ. Mix on a low speed, with a dough hook attachment, until smooth. Scrape the sides of the mixer bowl with a rubber spatula as you go. Fold in the melted butter or oil and raisins. Add 1 more cup of flour, 1/2 a cup at a time, to the mixture, while continuing to knead on low speed with a dough hook attachment. Scrape the sides of the bowl as you go with a rubber spatula. Gradually add what you need of the last 1 1/2 cups of flour until the dough forms into a nice, elastic,and smooth ball. Cover the bowl with saran wrap and let rise in a warm place until the dough doubles in volume, for approximately 1-1 1/2 hours. Punch the air out of the dough on a floured surface. Roll out the dough to a 14X7 inch rectangle and roll tightly from the shorter side into a tight roll. Pinch the edges and tuck under the loaf. Place the loaf, with the seams facing down, in an oiled parchment papered 9X5X3 loaf pan and let proof covered with kitchen towels for 1 hour in a warm place. Bake in a preheated 375F oven for 40 minutes. Let cool on a rack. 1. I wanted a large hefty loaf but by all means you can divide the dough into two smaller loaves. 2. Freezes well. Slice, wrap in foil and store in a ziploc bag in the freezer. Reheat in foil at preheated 350F oven, for 10 (or more) minutes. I am submitting this post to Yeast Spotting. A beautiful bread! Perfect for making (French) toasts. TY Rosa & you know what you are right! I always think of challah but this raisin bran would work perfectly as well. Love it, love it, love it Shulie! Though I would use some whole wheat flour instead of white, this is exactly the type of bread I make for myself. I found the hard way that milk produces and soft crusts. It´s great for rolls and loaves, but I baked a huge round loaf and it wasn´t very appealing. 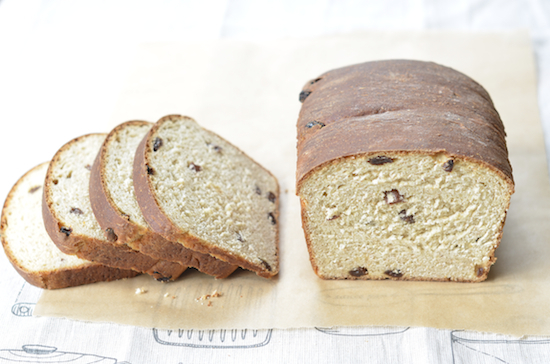 I love raisin bread, this looks incredible! What a picture perfect loaf, Shulie! You have the bread baker's gene, for certain! And I was thrilled to see my neighborhood Kroger carrying Red Star Platinum yeast....hooray!!! TY Linda, funny how light makes a difference from one moment to the next & always! My pleasure! Beautiful loaf!! Looks mouth watering!!!! What a fine looking loaf of bread. I'd love to have it as a french toast, yum! I make raisin bread several times a year but I don't think I've ever added bran or wheat germ. This will be my next loaf! 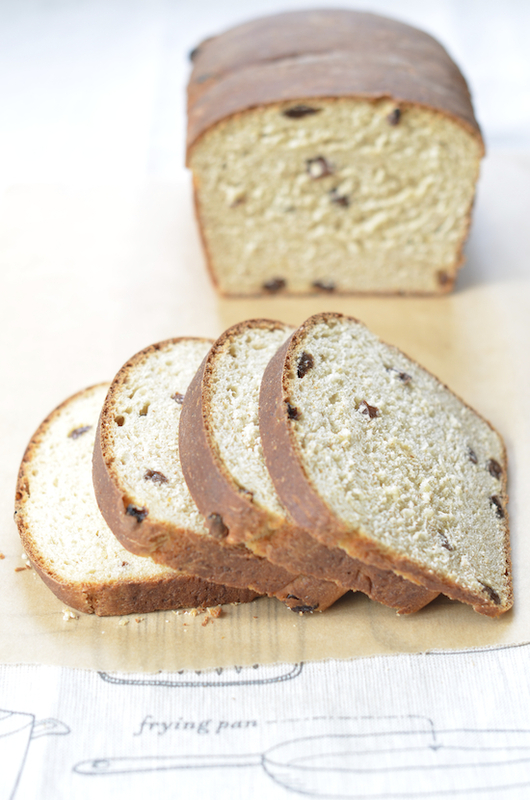 Ah we are raisin bread buddies, how about it?! :) Let me know when you do. This looks super good. I have such a weakness for raisin bread. I must try this. If you have any left, I will give you my mailing address. That bread looks INSANELY good. Yum! I love baking bread even more than eating it. The smell is unbeatable. Your loaf looks very moist and fluffy and all tips are very useful when it comes to making bread! 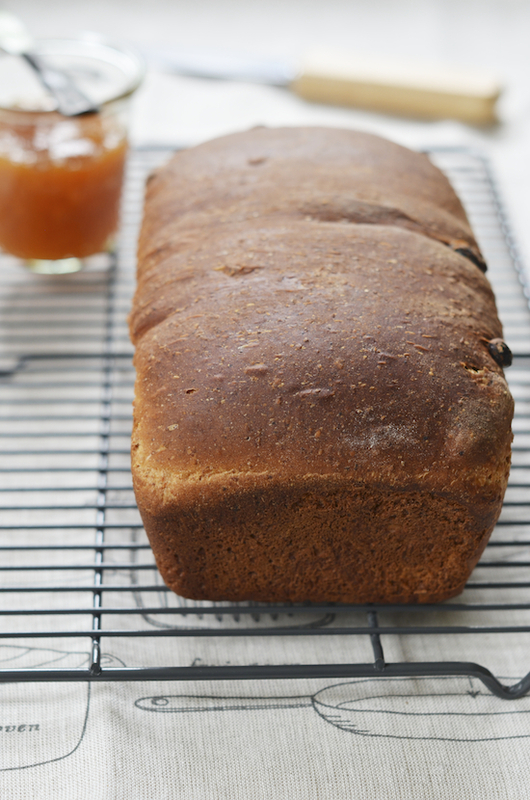 Your loaf of bread is picture perfect, and looks delicious! Stunning photos too!